Mayor James Kenney, prior, to announcing to City Council Nov. 2 that the School Reform Commission will be replaced by a local Board of Education. When Mayor Kenney took the bold step to dissolve the School Reform Commission in favor of a locally appointed school board, he told City Council last Nov. 2 that he was accepting "accountability" going forward for the Philadelphia School District. The importance of that step can't be underestimated. He also made clear that in having the city take responsibility for the district's deficit, we'll all be accountable, since we're all going to pay for it. That process takes a big step Friday at the first meeting of a 13-member panel Kenney named Wednesday to recommend nominees for the Philadelphia Board of Education, which will return July 1 after a 16-year hiatus to take control from the SRC. There is much at stake here — the education of more than 200,000 children, a $1 billion deficit over the next five years, and a planned pitch from Kenney in March for more city taxes to pay for it all. Getting it right is crucial and not necessarily easy, since it involves balancing the need for professional guidance in choosing the right board and public input to make sure taxpayers and parents have a say in how our schools are governed, and by whom. Transparency in the process will be important So far, we're not getting a lot. The Mayor's Office of Education says that only the "initial portion" of Friday's first meeting (10 a.m., Mayor's Reception Room in City Hall) will be open to the public, while the panel adopts rules and elects officers. Kenney's staff is invoking for the first meeting the "executive session" portion of the Sunshine Law, which allows for certain legal and personnel matters to be discussed in private. Later on, Board of Education applicants will be interviewed by panel members "working individually and in small groups," according to the Office of Education. Put another way, not in public meetings. Executive sessions will also be used "in order to finalize the list of candidates based on interviews and reviews," according to the Office of Education. 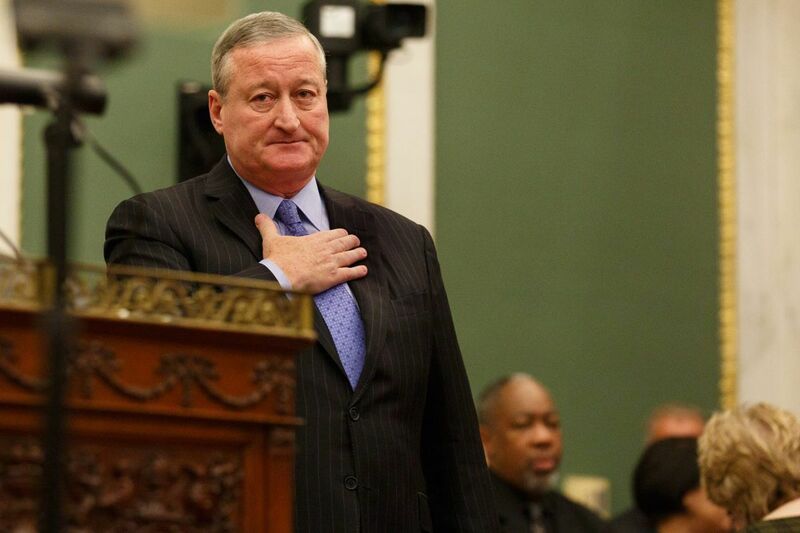 City Council will no doubt have a role to play in the proceedings, but until then, transparency will be limited to seven public meetings Kenney's staff will hold to explain the process. But talking about a process is not the same as allowing the public to see it, or participate and offer input. Kenney's panel must recommend 27 people for the Board of Education by Feb. 28. Kenney will nominate nine of them sometime in March. The City Charter allows those nine appointees to serve for three terms, concurrent with the mayor's term. His appointees could serve until 2027 if he wins a second term and the next mayor didn't replace them. This is a short schedule with long implications. And, recalling Kenney's warning that there are no easy solutions to funding the district and nothing left to cut, the burden of the district's financial future falls on all of us. If taxpayers are going to be as accountable as the mayor and the board for the quality of our schools, we should be able to play a bigger part in the process.